The man in charge of Northumbria police says there will be no change in the way his officers deal with burglaries. Chief Constable Steve Ashman’s comments follow those of Sara Thornton, head of the new national police chiefs’ council, who says budget cuts would mean forces rethinking the priority given to offences. Ms Thornton said this could mean if a burglary is committed and the criminal has fled, officers wouldn’t get there as quick. 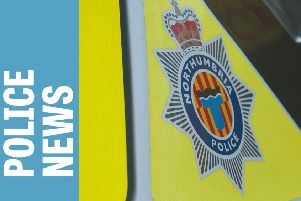 Mr Ashman said: “Northumbria Police currently attend all reports of burglary and there is no intention to change this. “Burglary is a significant crime that can have devastating effects and we should never underestimate the impact it might have on victims. “However, I want to make it absolutely clear for the avoidance of any doubt – I cannot see a point in time in the immediate or long-term future when we would not attend the report of a burglary.